ArtWork of Creative Director Jum Nakao for the Opening of the first Onitsuka Tiger store in Latin America. Inspired by the Traditions of Craftsmanship and the Oriental Art School. A tribute to the Tradition of the Onitsuka Tiger brand and its continuous movement for overcoming. 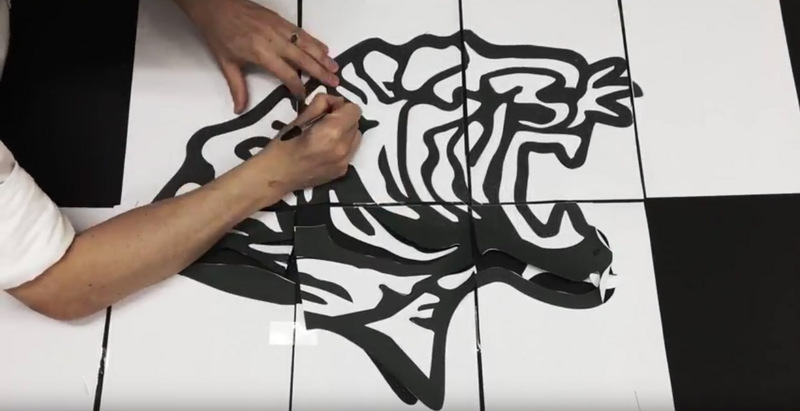 The art of the Kirigami (Paper Cut) gets Anima.